f you’re like me, fall’s arrival brings with it the excitement of the holidays, cooler weather and PUMPKIN! This is the time of year I look forward to seeing the seasonal flavor make its debut at Starbucks and all over town. It was this time last year I realized my love for all things pumpkin and also just how terrible many of these items can be for your waistline! For all of you pumpkin lovers out there, I wanted to share one of my favorite “go to” recipes of the moment. 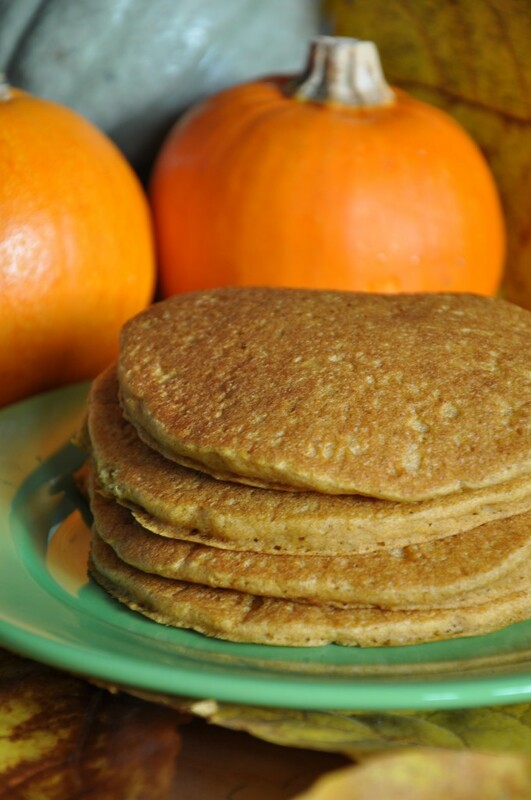 Pumpkin Protein Pancakes! I make these daily and top with a tablespoon of my favorite peanut butter or almond butter for a quick mid morning snack. You can even stack them and make a pancake sandwich for easy eating on the go! There are many variations that can be made from this basic framework, so I encourage you to play around with it and make it your own! I do not include specific amounts of the spices because, to me, everyone’s tastes are different and palettes tolerate different amounts of sweetness. So do not be afraid to experiment with different amounts of the ingredients to get the perfect pumpkin flavor you desire! Optional: If your batter is a little thick.. you can add a small amount of water or Almond Milk to thin it out. Start with a tsp and build as you do not want a watery consistency and for Even MORE pumpkin flavor.. try adding a tablespoon of pumpkin puree! Directions: Combine ingredients and pour batter onto griddle. Cook until one side is fluffy and flip. Top with some sugar free syrup or some all natural peanut butter and Enjoy!